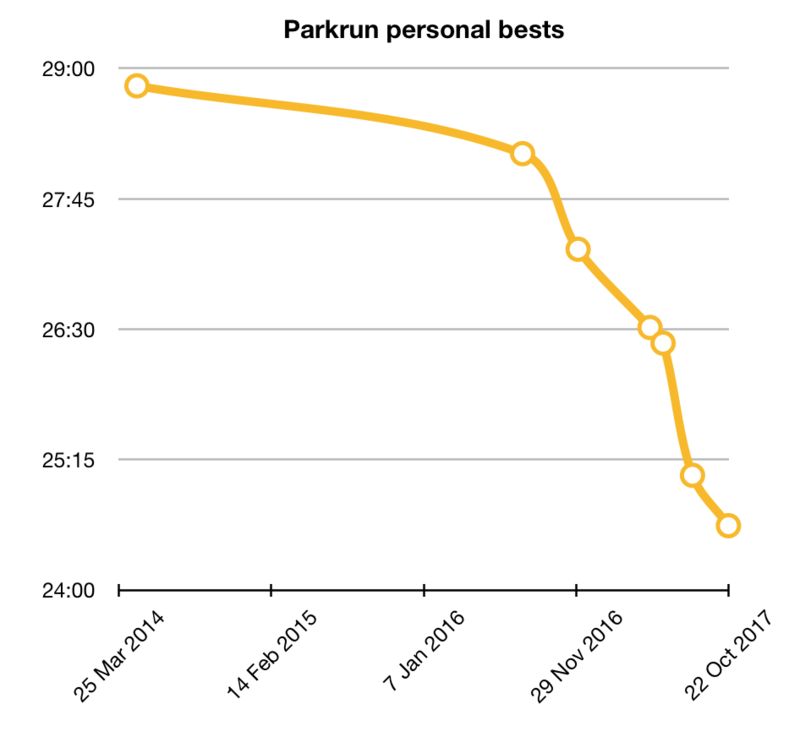 Last Saturday I completed my 131st Parkrun. I was feeling good so was determined to make it a PB (personal best) day. Of course, intentions don’t always match up to how you feel on the morning. You’ll notice that with the trend line, I should be world champion sometime next week. I’m pretty sure that’s how it works. This entry was posted on Wednesday, October 25th, 2017 at 11:00 am and is filed under Sport. You can follow any responses to this entry through the RSS 2.0 feed. Both comments and pings are currently closed.